If you implement any kind of automation, it’s important to evaluate that automation’s success. What is interesting is that this can be done without guesswork, approximation or ambiguity. When IT and Finance align on the key criteria, (namely return on investment (ROI) and your document and monitoring) you’re able to easily assess the success of your automations and the real value to the business. Is ROI all that there is to justifying and assessing an automation project? Why is it important? 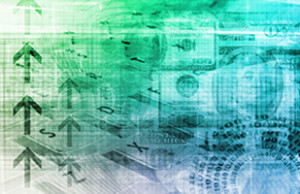 The release of funding for most software investments often requires a robust business case. But for some projects, approval and funding is provided because the initiative is innovative and just might generate business benefits, even if those benefits can’t be quantified beforehand. 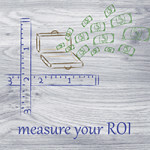 We talk about establishing Return on Investment (ROI) values, but ROI is a double-edged sword. ROI can be very powerful, but it can also bind you to specific ways of doing business. The risk-averse personality uses ROI requirements as a defense strategy – the classic CYA and justification to do nothing, but align with the status quo. Demonstrating ROI means setting measurable criteria from which to attribute the value that will be derived from the project. Alignment of goals between the IT and Finance functions is critical at this stage, and setting the criteria supports the success of the project being fairly judged, when funds need to be approved and allocated. Good ROI projection also helps when you need to justify future projects, and enables the business to assess whether it is likely to get value for money from the initiative. Calculating ROI on IT Projects involving automation may depend on some variables that are specific to each individual organization, but there are often commonalities that pervade all projects and will help with the assessment. Most commonly these commonalities fall into the four areas; requirements, timelines, costs and suppliers or technologies. Getting a good handle on ROI means having a strong understanding of the nature of a given project. While this may seem simple, often organizations do not ask the important question: Why would we want to do this? Typically, projects fall into the category of cost savings investments or revenue growth investments – in capacity for the future. 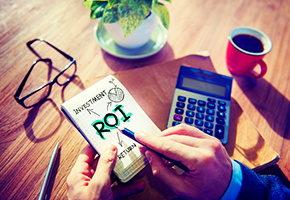 When analyzing ROI, both objectives use a similar approach to gathering information, but differ in terms of the assessment period. If cost savings is an objective in finance, you want to reduce the overall cost of providing the finance function. With the growth and sustainable objective, you want to avoid incurring additional costs, despite growing transactional volumes. Projects with cost savings initiatives often have a very clear ‘implement by’ date. Investments made to support revenue growth have returns that are often projected over the long term. However, the calculations can easily get contaminated by unexpected trajectories and the numbers can appear to be very favorable or unfavorable. The longer the time-frame, the more likely the projected ROI figure will be accepted. However real ROI can only ever be truly understood if it is measured at critical points over time, until the project has run its course. All parties in the decision making process must agree to a timeline with regular assessment milestones, so that real ROI can be calculated and fed into business plans. Getting consensus on the measures is essential! The biggest area of consideration for ROI on automation projects is of course the cost, and this is particularly important in terms of future savings or future costs avoided. For example, when you implement Winshuttle products, there is an initial product license cost and annual maintenance. If you’re implementing at the workgroup level, you can typically get away with just a couple of days of training or services, but you’re encouraged to empower technical or functional people to be able to create automations themselves. The best way to do this is to set them loose on an assignment after training. Implementing Foundation or a higher governed Workgroup installation requires SharePoint as a component, and consequently might require additional resources to get the solution implemented; especially if you have no SharePoint skills in-house. Trainings typically take longer with Foundation and the Central component due to Server aspects, and when you wrap workflows around spreadsheets or forms, more time is required for implementing specific scenarios. Though Winshuttle advocates a no-programming approach to most implementations, there may be instances where you feel a little VBA or Java scripting will take the functionality of your spreadsheet or form to the next level, and you might want to factor these aspects in as implementation costs. 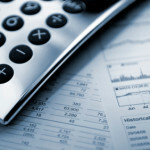 Therefore, critical costs include people, equipment and hardware costs, and running costs. You’ll measure these costs against improvements in efficiency and time savings associated with doing things faster, with better accuracy and less rework. Advocates for automation should acknowledge that running under-performing existing processes effects operational efficiency costs. There are ongoing losses in productivity, and a lack of scalability within systems to deal with fluctuations in transactional demand. Completing these calculations requires a consensus on what resolving the business issues are worth after they’re left unaddressed. Winshuttle technology is well positioned to help you implement automations in your existing operational environment in the least disruptive way. You can deploy Winshuttle solutions without the need to invest in costly consulting resources, although you will need to build workbench competency in-house. These resources can then build and debug automations through the full lifecycle of implementation and sustainability. 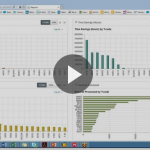 Winshuttle is used daily by thousands of users globally in all functional areas of SAP, and is tremendously beneficial to finance groups striving to contain costs and cope with ever growing transactional volumes.